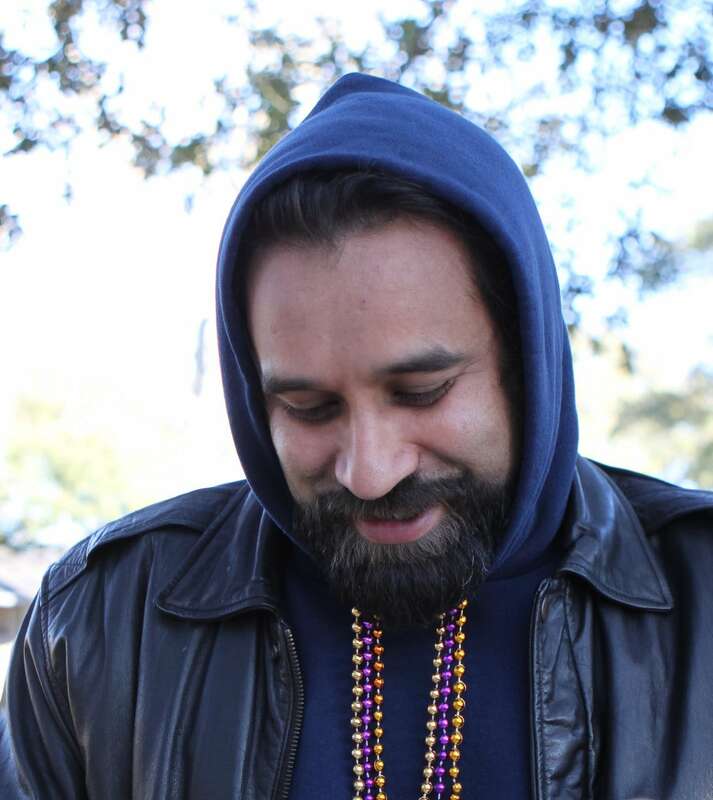 Cajun music scion Joel Savoy says he struggles with the word “traditional.” It’s a word so overused, like “authentic” or “organic” or “like,” that it’s devoid of meaning. Savoy knows a thing or two about tradition. He’s the son of legendary accordion maker and Cajun prophet Marc Savoy and a co-founder of Valcour Records, a Grammy-winning boutique label that rallied a new crop of Acadiana musicians after the renaissance of the 1970s and 80s. Acadiana Center for the Arts tapped Savoy to play first-ever guest curator for the beloved Louisiana Crossroads series. He’s closing out the current season, which began last year, with two showcases exploring the other dimensions of musical traditions in Acadiana and New Orleans. He’ll curate the upcoming season scheduled for later this year. 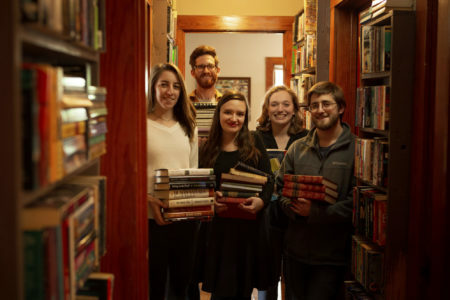 This week, Savoy imported the roster of New Orleans alternative roots label Mashed Potato Records, founded by members of The Deslondes, for a two-night stand. The pair of showcases features 12 Mashed Potatoes artists hosted by The Deslondes themselves. Savoy spoke with Editor Christiaan Mader via email. The interview has been edited for brevity, clarity and wit. 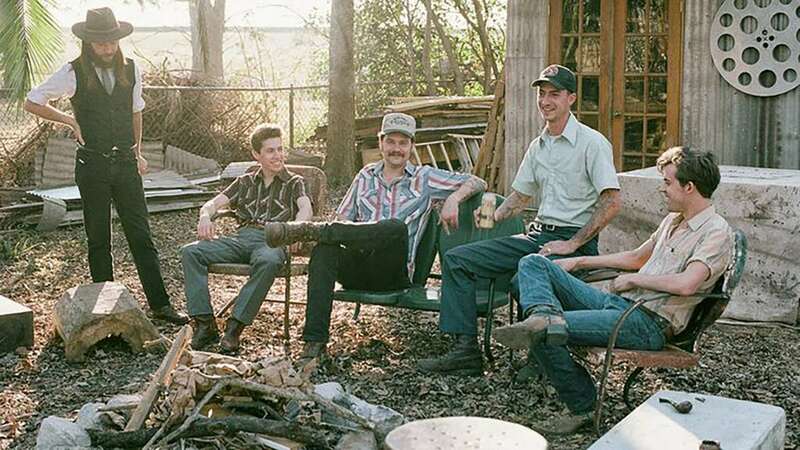 The Deslondes present Mashed Potato Records on Tuesday, March 26, and Wednesday, March 27, at 7:30 p.m. Tickets are on sale via AcA. Looking at these last two shows, they both have a lot of new faces and sounds not typically associated with Crossroads. Was that intentional? Were you trying to depart from Crossroads seasons past? When I came into this season [which began last year], three of the five shows were already booked, and the theater only had a few dates left for me to work with and they needed two more big shows. So I looked at the season and tried to balance it in a way that reflects what Crossroads is to me and where we want it to go. We already had Wayne Toups, local Cajun superstar; we had Christian Scott and Tonya Boyd Cannon, a NOLA virtuoso musician and a singer with a classic New Orleans vibe; and we had a tribute to Mamou-raised Grand Ole Opry Star Jimmy C. Newman featuring many locals mixed in with Nashville celebrities like Marty Stuart, Connie Smith and local superstar Doug Kershaw. These last two shows might appear similar in approach, but they are drastically different musically and in delivery, and I think they balance out the season very well if we look at the five shows as a whole. Tell me more about The Deslondes and this week’s showcase. The Mashed Potato Records thing kind of reminds me of what you did with Valcour Records. It captures a vibe and ethos, although that particular vibe and ethos doesn’t directly reflect what we think of as New Orleans music, in the same way that Valcour would be said to reflect Acadiana’s. What roads are crossing here? As a touring musician I am exposed to local music scenes all over the world, and the style of music that I am performing directly determines the “scene” that I am exposed to. If someone from France comes to Louisiana to study Cajun fiddle, chances are they’re not going to get a chance to hear Brass Bed. But they will probably be exposed to other roots music styles because those genres cross over a lot here. You see what I’m getting at? So here in Acadiana we have this scene: You and I know each other’s music. We’re friends, but our musical worlds are vastly different even though we see each other out and about here and there and even attend each other’s shows. That’s how we roll here. But a lot of folks go to New Orleans to hear that “New Orleans music,” and they might never realize that there’s this incredible scene of folk and roots musicians there, all collaborating and recording. It’s very much like what is going on here. What I’m saying is, I discovered this scene in New Orleans that to me felt a lot like Acadiana, and I thought it would be really interesting to folks to experience this different side of New Orleans music. It’s Dess-Londes, right? Not Day-londes? I keep wanting to make it French. To be clear, I don’t speak French. You probably knew that. I struggle a lot with the use of the word “traditional.” It’s easy to look back at the way something has been for a long time and call it a tradition, but when we apply that term to music today, especially in a culture like we have here in Acadiana that is living and breathing, what does it actually mean? To me, music is a family tradition. My folks, my siblings and many of my ancestors, they all played music. But I play what people love to call “traditional music” and that, to me, means that I mostly play songs from an historical repertoire. Even though we’re creating some new music and incorporating new elements here and there, it is at its core based on the quintessential early stylings and recordings of a vernacular music. Did you see that MySpace accidentally deleted like 50 million songs? The internet is saying it’s a catastrophe, essentially an entire decade of music lost forever. Can you imagine a world in which the only record of Dewey Balfa was his MySpace page and MySpace evaporated it? My dad likes to say, “I play the kind of music that you can still hear when the power goes out.” Maybe we need the “power to go out” to delete some of the crap that’s out there and get a fresh start! Music these days has watered down a lot of the intrinsic value that has made it so important to so many people since the dawn of humanity. Go MySpace! You’ll be curating the upcoming season, too. Can you give us a peek into your curatorial brain? What are you hoping to put together? I want to develop Crossroads as a series/brand that audiences can trust that the show is going to be incredible no matter who the artists are. The Acadiana Center for the Arts brought in a lot of new staff this winter, and we’re all working together toward this coming season. I’ve got some really special shows planned that I can’t divulge just yet, but I can tell you that the series is going to be more streamlined next season. We’re looking at having five or six single-night shows on Fridays — three-ish in the fall, and three-ish in the Spring — hopefully on a regular first-Friday-type schedule. I am also working to involve the Downtown area as much as possible to make each Crossroads show an event similar to Austin City Limits or the Grand Ole Opry, where it’s the thing to do that week, getting the restaurants involved as well as other local businesses. It’s going to be a great season! What good is fig season when you don't like figs? 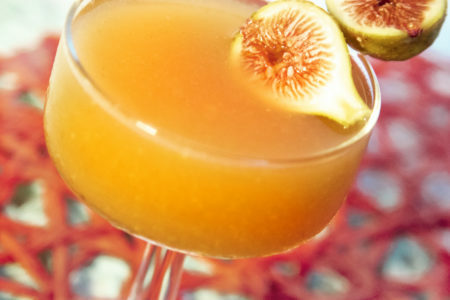 This cool and fruity vodka sipper makes summer figs something everyone can look forward to.